Earlier this month, the Food and Drug Administration (FDA) set a standard for “gluten-free” claims on food labels. It’s 20 parts per million. 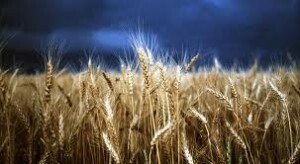 Gluten is found in wheat, rye and barley. Gluten refers to proteins that occur naturally in wheat, rye, barley and crossbreeds of these grains. The new standard aims to protect people with celiac disease, for whom eating gluten can have life-threatening consequences. Experts estimate that about 1% of people in the U.S. have this disease. Gluten is found in many foods like cereals, bread and cake. It is also in unexpected places like soy sauce and soup. Dr. Alessio Fasano, the director of the Center for Celiac Research at Massachusetts General Hospital said, “A gluten-free diet for people with celiac disease is like insulin for diabetics.” So let’s hear it for progress. Gluten-free for those without celiac disease? On the other hand, “gluten-free” labels have popped up everywhere in the last few years, far beyond what seems proportional to 1% of the population. Dr. Joel Mason, a professor of medicine and nutrition at Tufts University, warns that, for people without celiac disease, a gluten-free diet is not a healthier choice. It is short on B vitamins, calcium, iron, vitamin D and magnesium. Bottom line: for people with celiac disease, these new standards can be life-savers. For people without, it’s probably safe to skip the “gluten-free” aisle at the grocery store.